It's time for another Hobby Polish Bloggers blog link-up. This month's theme was fall/autumn manicures. I had a difficult time coming up with what to do this month. I had so many polishes that came to mind to use that I ended up using a bunch! My only concern with my mani is does this look more like an autumn manicure or a Christmas one? I feel like I should of used some more orange or brown maybe? I still really love this though! 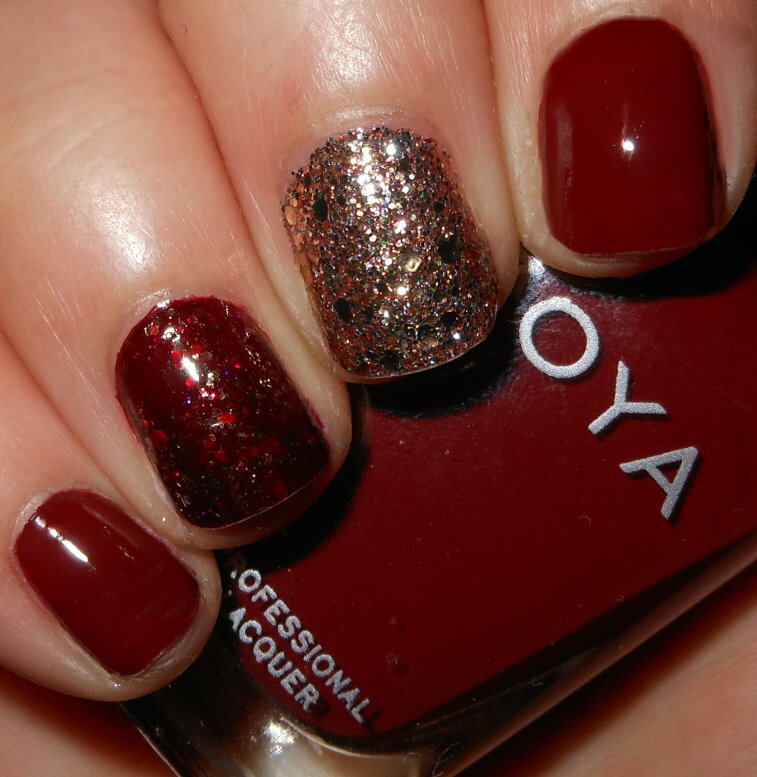 Polishes Used: Zoya Pepper (this is my favorite fall red! ), OPI Bring on the Bling, Essie Summit of Style, Zoya Maria Luisa, and KBShimmer Leaf of Faith. I did a bunch of layering in this mani. On my middle finger I have OPI Bring on the Bring topped with Essie Summit of Style and on my ring finger I have Zoya Pepper topped with KBShimmer Leaf of Faith then topped with Zoya Maria Luisa. Check out the awesome manis done by other HPB members below!